A major risk to the Hudson Valley with no demonstrated benefit. 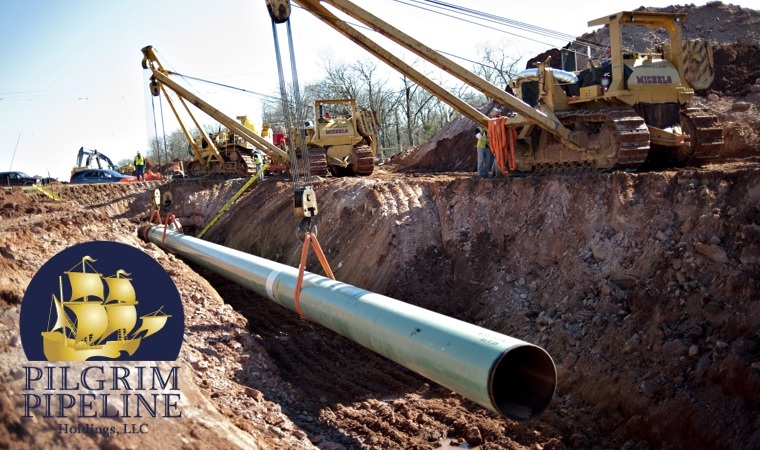 Pilgrim Transportation of New York, Inc. has proposed to build two parallel petroleum pipelines between the Port of Albany and Linden, NJ. One pipeline would carry Bakken crude oil from the Port of Albany to Linden, and the other would carry the refined products from Linden back up to Albany. Each pipeline would be 170 miles long, buried in a 6’x6’ trench with 79% of the route in New York located within the New York State Thruway right-of-way (“ROW”). The project would pass through six counties and 23 municipalities in the Hudson Valley, cross the Hudson River twice, and extend to the Hudson shoreline by two additional lateral offshoots located in Newburgh and New Windsor. On September 14, 2016, the Department of Environmental Conservation and the New York State Thruway Authority, (the “lead agencies”), issued a positive declaration of significance under the State Environmental Quality Review Act (SEQRA), requiring a full environmental review to take place before the project can proceed based on findings that the project may pose significant, adverse environmental impacts. Roughly 30 communities have already passed resolutions opposing the project. The public will have an opportunity to identify local impacts and areas of concern that the lead agencies may not be aware of during a scoping process. The co-lead agencies also agree that there will be a scoping process and a comment period on the draft scope once it is published. Identify potential impacts of concern. For example: water/air quality, farmland, open space, recreational resources, climate change, fish and wildlife, culture, economics, and public health. Describe the significance. For example: Define the breadth of study necessary to address the impact’s significance in terms of time, geography and populations affected. Propose alternative(s) to the project. For example: different locations, size or technologies and other courses of action. Subscribe to Scenic Hudson’s email alerts to find out when the scoping process will take place. Ask your state Senator and Assemblymember to co-sponsor bills (S.5139 and A.2446A, respectively) that would revise the New York State Transportation Corporations Law to provide towns with the same authority as villages and cities to either accept or reject the construction of new pipelines that would cross through their jurisdiction. WHITE PAPER: "Pilgrim Pipeline: Risk to the Hudson Valley with No Demonstrated Benefit"